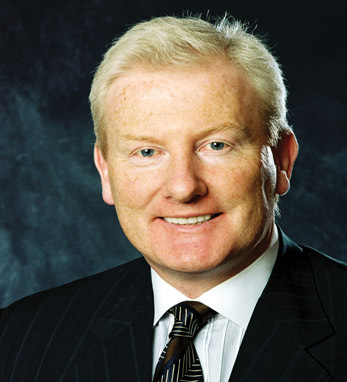 Michael Higgins is Managing Director and Head of Real Estate Finance at CIBC World Markets. CIBC is a leading financial institution and one of the largest in North America, with total assets exceeding $200 billion and offices around the world. Higgins, who is married and has four children, is a member of The American Ireland Fund. An avid golfer, he served as chairman of the AIF’s golf outing at Baltusrol, New Jersey in 2004.